Hi again. Just wanted to let everyone know that I'll be on Duncan Metzger's "Northern Lightworker" tonight at 6 PM Pacific Time (9 PM Eastern). I'm looking forward to it... it's always interesting. It will also be your last chance (for a while) to get autographed copies of the new book. After tonight, I'll likely be going quiet here for a while. The Astrology.com blog and "The Daily Sky" will continue to run. It's The Lynette "Squeaky" Fromme One Day Fire Sale! Lynette "Squeaky" Fromme (born October 22, 1948, time unknown, Santa Monica, California) was released today from prison. This happens on a day when transiting Jupter and Neptune are sextile to her natal Jupiter and trine her Sun, and Saturn has finally come off the long, ugly conjunction with her natal Venus. Okay, I don't know how you feel about having a former Mason Family member roaming the streets. Personally, I suspect she won't be killing anyone else. Everyone ordering one or more e-books or ordering an autographed copy of the book (or requesting the three-month forecast deal) receives TWICE the bonus materials at no extra charge. Just mention Squeaky when you order. Shameless exploitation on my part? Maybe. But, what the heck... Squeaky will probably have lots of help adjusting to life on the outside. Me? I gotta keep working for a living. And I haven't even killed anyone. Jeez. Is everyone getting tired of me beating it to death that I have a book now? I'm not... it's a Mars in Capricorn thing. Thank you all for your readership... and your patience. And now a song about traffic lights! And of course, for the distant or impatient, copies of the e-book are available from conquertheuniversewithastrology.com. And everyone buying in person, from the Conquer site, or buying the actual book gets the Amazing Twenty Dollar Freebie at no extra charge! A limited number of signed copies are available through Octavia Press. Click HERE and ask for the details! And now, an amusing tune about brain-eating zombies. You'd be amazed how many people seem to feel like they're surrounded by brain-eating zombies since the eclipse. Or, just in general during the work day. It has been confirmed that Paula Abdul (born June 19, 1962, 2:32 PM, San Fernando California) is leaving American Idol. I wrote about Paula almost exactly a year ago, and figured that the processes that would lead to her leaving were coming to a peak in January of this year. Although I don't follow Paula Abdul news that closely (she's already had her fair share of trouble with stalkers), I did find two stories of possible significance that happened in January of this year. Paula was being critical of the critical of the show in January. Or perhaps she wasn't. She was pretty evasive about her accusing Simon Cowell of defamation, among other things when later questioned on the matter, and changed the subject to something else entirely. Rumors started floating around that Paula might be getting her own talk show this year. Nothing solid has surfaced yet, but these things take time to develop. So: we have difficult times with co-workers and the potential promise of greater personal glory. And what do we see for Paula's transits around the time of her announcement that she's leaving? Neptune and Jupiter (to a lesser extent) are trine her natal Sun while passing through her natal 5th House, and Uranus is squaring it from her Sixth House. Translation: "I feel really good about myself, except I'm not getting enough recognition at work." Her secondary progressed Sun is being conjuncted by the transiting Sun. Translation: "Look at me! Look at me!" With all that Sun action going on, Paula's likely feeling good about things. Of course a cynic (or an astrologer) might have warned her about letting Ego issues get in the way of making wise decisions. Her secondary progressed Venus is rolling into the exact square with her natal Sun. Translation: "Yes, I really do feel good about myself. Maybe excessively good." As for today's Lunar Eclipse in Aquarius? It's squaring her natal Mars. Translation: "I'm going to spend the next while taking action, whether that action is well-thought-out or not." Don't be surprised if in the next few days you hear some pronouncements from Paula about how everything is great. As a matter of fact, I wouldn't be too surprised if he hear something fairly soon about that talk show, or some other major project that will make Paula bigger and better than ever. Of course, I can't help but wonder if Paula's next major hint will be a star turn on "Celebrity Rehab." 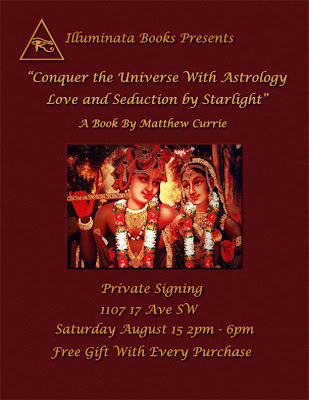 Want to learn some astrology, maximize your sexiness, laugh a lot, seduce someone, and save some money? Click here for all the juicy details! And what about YOUR future? It starts HERE. Give it a click and send in your info... no obligation. That's not your love life straining at the seams... it's a transformational experience. Let's stay positive about things, shall we...? "Mrs. Nordberg, I think we can save your husband's arm. Where would you like it sent?" "Love And Seduction By Starlight is now available! Click here for all the juicy details! 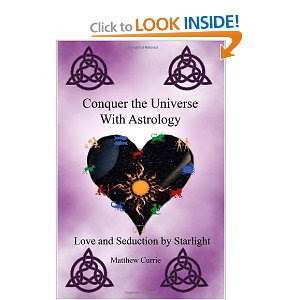 My latest book in the "Conquer The Universe" series is now available: "Love And Seduction By Starlight." Love? Sure. But... why seduction? As an astrologer, the majority of consultations I do are centered on issues related to Love. And… whether you planned it that way or not… seduction is a part of the process, as surely as the salesman is a part of the process when you buy a car. Everyone, of course, likes to think they’re above that. The very word “seduction” conjures images of users and bleary-eyed mornings of regret. And sure: sometimes that’s what seduction ends with, just like there really are a few crooked car salesmen out there. But the truth is that “salesmanship” is a part of life whenever you interact with someone new. No matter how qualified you may feel you are for a job, you still spell-check your résumé and dress nicely. Besides, "seduction" isn't just a ploy: done properly, it's the first gift of yourself you present to a potential romantic partner. Where is the love that I really want/need? Why is the love I have not working out the way I want it to? You don’t really understand how your partner is wired. This e-book -- 68 pages delivered in .PDF format -- will give you the tools you need to understand yourself, your moods, and how you interact with and love others. It will also give you the means to get a fully-formed handle on the people you love (or would like to love, or would like to have loving you). The previously released Sun and Moon sections. The all new "Personal Planets" section. Learn how Mercury, Venus and Mars affect how you love and who you love. 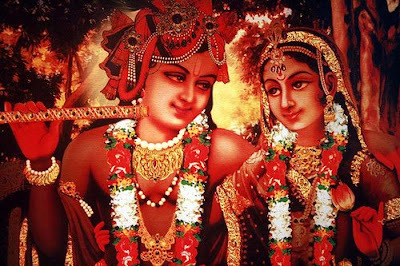 Special sections on how to use the power of your Venus and Mars. All twelve of my "Compatibility Guides," with notes on how to quickly and easily use them to expand your knowledge of astrology beyond just Sun Sign stuff. Also: For all those of you who arrived here via Google looking for "How to seduce" an Aries Taurus Gemini Cancer Leo Virgo Libra Scorpio Sagittarius Capricorn Aquarius Pisces Man (or Woman)... you've arrived at the right place. "I find your writing style delightful - as if you are sharing secrets with me - taking the complicated interpretation of mathematical calculations and scientific understandings and making it all approachable, knowable. This is a careful and considered, step-by-step laying down of the fundamentals in applying astrology to our lives, and yet, carefully-considered though it may be, does not seem contrived - rather, it flows like a conversation one might have with a mentor - informative, insightful, and inspired...and always, witty." Write me with your date, time, and city of birth here for more details. Also, you get a free no-obligation surprise! Want the REAL goods on how to seduce a Cancer man... or anyone else? Click here for all the juicy details! When it comes to the traits of our own birth chart, we can be a little like a fish that never realizes it's completely surrounded by water. But today, as the Moon passed through my Sixth House, I started to think about my heroes, and it all made sense.